The story's protagonist. His sense of pain and his own feelings are dulled. He is rather indifferent in all situations, whether he feels pain or joy and is also shown to be oblivious to the feelings of other people, despite wanting to build bonds. Due to his lack of interest in himself and others around him, he has trouble forming connections. He is constantly bullied, but doesn't feel the pain. Katsuhira, despite having little emotion, does care for those around him, even to the point where he is willing to risk his own safety for the other Kiznaivers, including jumping off a bridge early in the series to prevent Tenga from doing the same thing. Katsuhira is shown to be a shy yet energetic boy before the first Kizuna experiment. In that same episode, it is also revealed that once he was permanently connected to Sonozaki, most of his pain and emotions went to her, thus leaving his personality diluted, and his attitude towards others indifferent. However, throughout the series, he gradually returns back to the same kind, thoughtful and sociable boy he was back then. He is also very forgiving, as seen when he holds no grudges towards others despite what they put him through, especially Sonozaki and Tenga as well as his bullies. There are seven deadly sins: pride, envy, gluttony, lust, wrath, greed, and sloth. 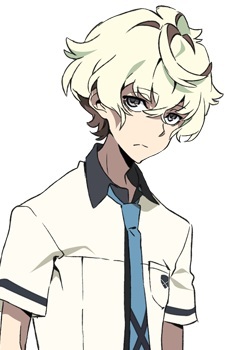 Many anime have incorporated the seven deadly sins as character archetypes; Kiznaiver does a great job at connecting them to an authentic high school experience.